Convertize is excited to announce the launch of Convertize, our most recent and innovative service to help you improve user experience and increase conversions. Providing technology and expertise all in one place, Convertize is a new Conversion Rate Optimisation solution that offers not only an intuitive software but a guided, streamlined process alongside expert support and knowledge. Powered by Tech. Perfected by Experts. Developed by 37 enthusiasts who wanted to offer a more complete solution to businesses and agencies looking to go beyond the limitations of simple A/B testing, Convertize instead allows you to develop a tailored optimisation strategy that is simple yet effective with more focus on specific features that work rather than an excess of unnecessary features that come at a premium. 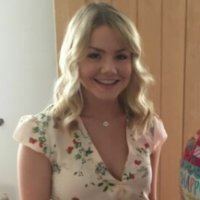 Using neuromarketing and consumer behavioural psychology, Convertize selects the most effective persuasion principles for your site based on individual audience and context. 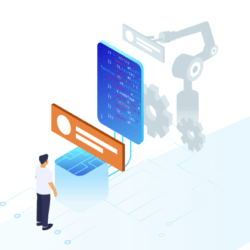 Using Convertize’s structured process, you can then implement and test an unlimited number of suggested scenarios to increase conversion rate and revenue, without any need of IT support or expertise. Currently in Beta, Convertize is due for general release in October 2016, with people being invited to come onboard in order of registration. Go to www.convertize.com now to sign up and ensure your team are first in line to get access to this new phase of optimisation. 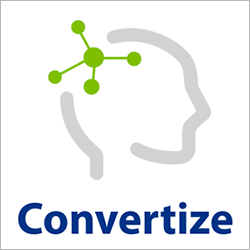 Convertize is a digital consulting agency specialising in Conversion Rate Optimisation. Thanks to simple and effective methods, Convertize helps its clients to improve their websites and to quickly and efficiently increase online revenue. Based in London, Convertize operates throughout Europe.